Saucy and sassy! 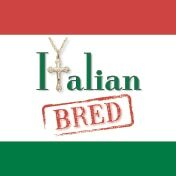 Acclaimed writer/performer Candice Guardino premieres the outrageous Italian Bred Off-Broadway! With this 80 minute one-woman show, Candice slips in and out of characters as she cooks up a full meal of growing up Italian on Staten Island. Having written down everything her loving and outspoken grandmother ever uttered, she combines this unfiltered wisdom, along with her family’s very Italian and definitive personalities and a generous helping of her own experiences. This hilarious and heartwarming show includes unique stories and memories from her childhood…with a liberal dash of live music! Plus, at every performance, Candice will enlist a different Celebrity Guest Star to join in the storytelling!